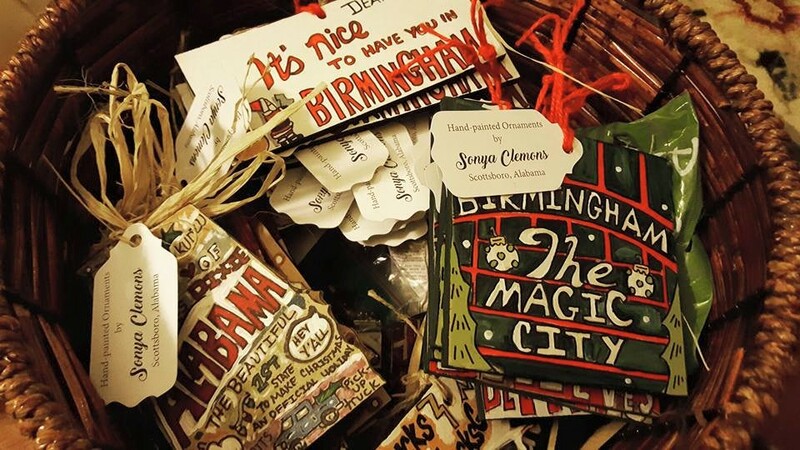 If you’re looking for Christmas gifts that show your Alabama state pride, look no further than at artist Sony Clemmons’s folk art. 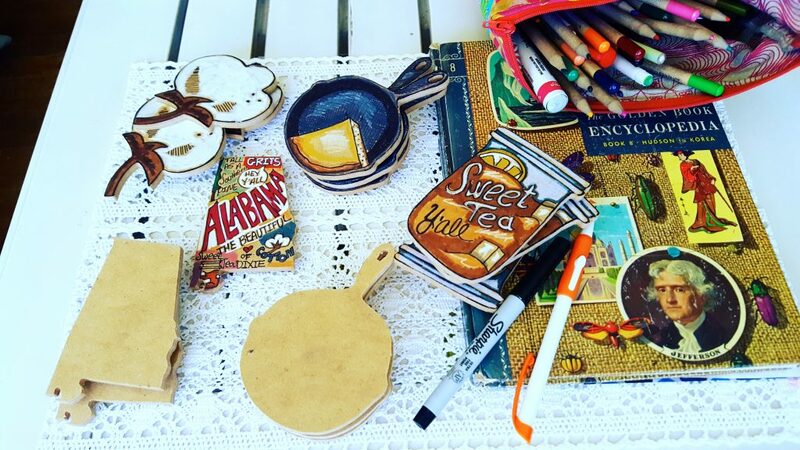 Her whimsical Alabama folk art ornaments, prints and textiles can be found in stores throughout North Alabama. 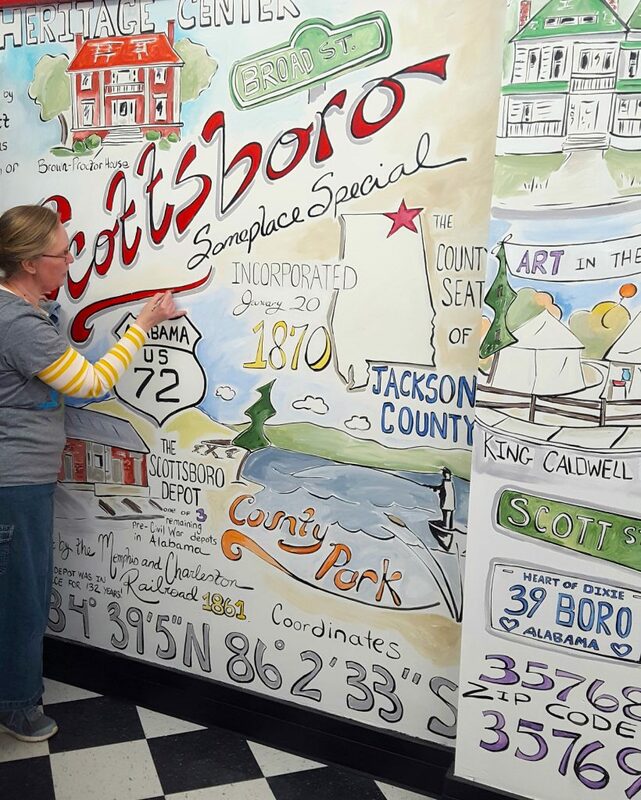 Each piece of art is drawn- by- hand and tells a story about the people and places of the South. 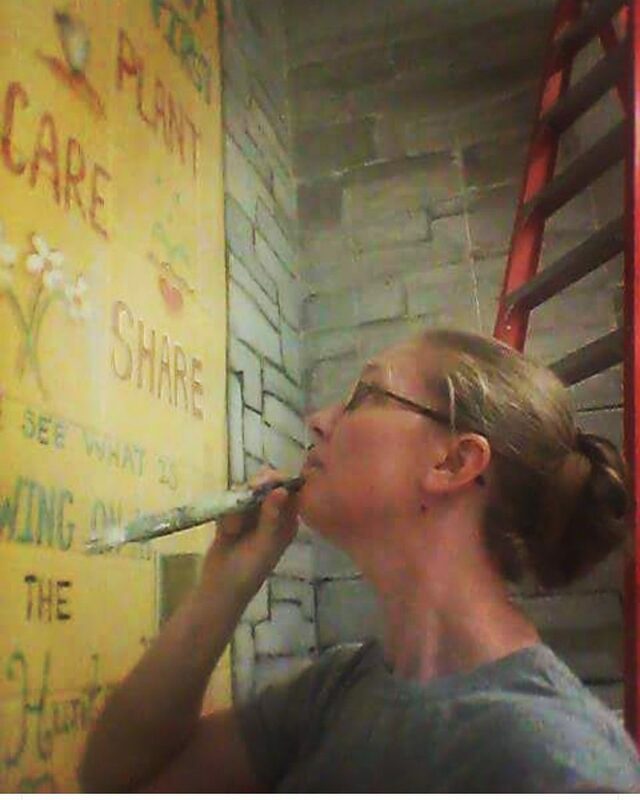 Sonya Clemmons began drawing for people in high school, but in 1996, she was hired as a ‘brush for hire.’ Clemmons is originally from Huntsville, Alabama, but she now lives in Scottsboro, and has been painting murals in buildings and schools from Huntsville to Florence. 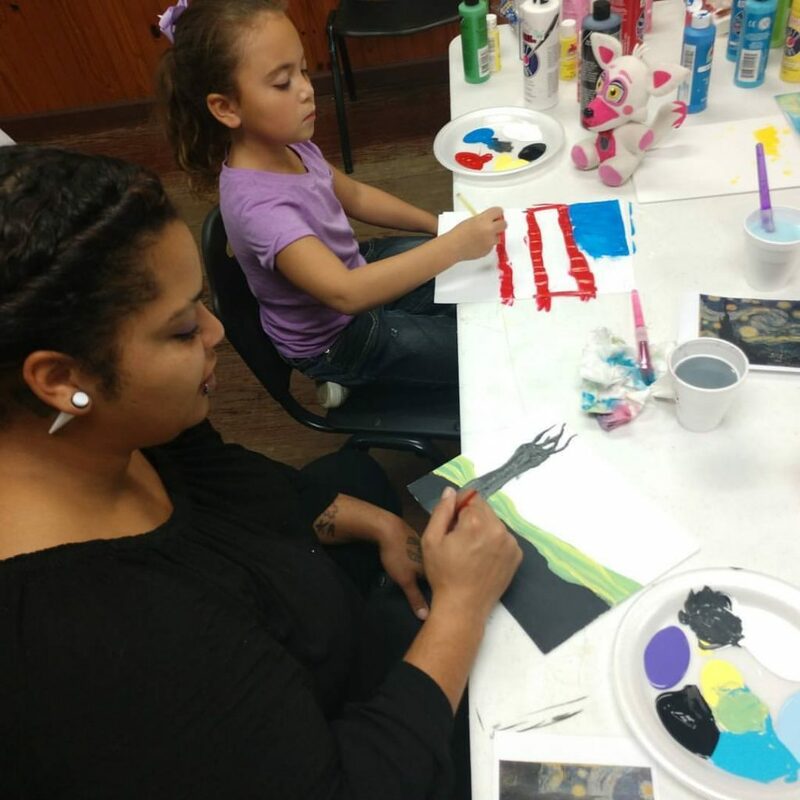 Clemmons also enjoys giving back to her community, so last year she convinced a judge in family court in Jackson county to let her teach art classes to the children of the Jackson county recovery community. Once she had the judge’s blessing, she began the Picture of Hope art program. It is a program taught twice a month for those in recovery. In October, the first-ever art show put on display the students’ work who participated in the Picture of Hope program. The show was held at the Jackson County Drug and Family Wellness courts and was open to the community. Clemmons’ goal with showing the student artwork was to convey to the community the value art has in people’s lives, especially those who are in recovery or who need a boost in their self esteem. Clemmons adds that the program has been well received as a positive program for the community. As for Clemmons’ artwork, each piece tells a story about the different areas of Alabama, from the tech community in Huntsville to the beach community in Gulf Shores. Those stories include the rich history of Alabama as well as the diversity that can be found all over the state. She also has a few Alabama and Auburn pieces among her artwork; after all, we are a big SEC football state. Where can you buy Clemmons’ artwork? 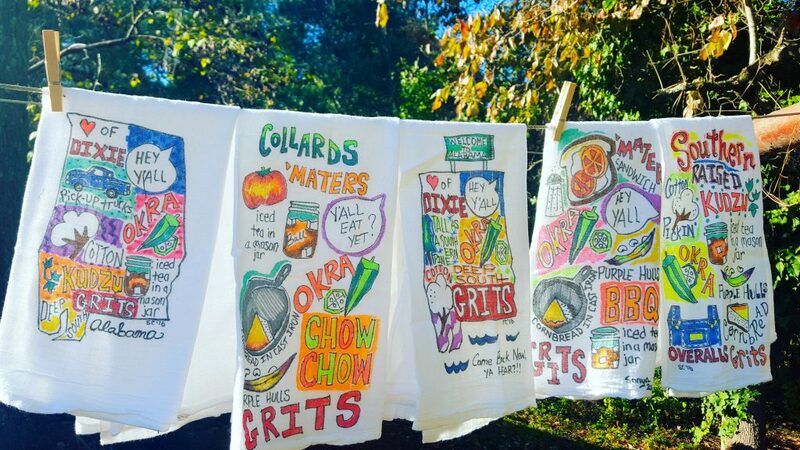 Clemmons’ artwork can be purchased at the Huntsville Visitor’s Center, Harrison Brothers, Constitution Village and Naomi and Olive in Dothan to name a few, or online at Instagram. Each piece of art is carefully crafted and inspired by Clemmons’ love for the state and through her art you too are inspired. 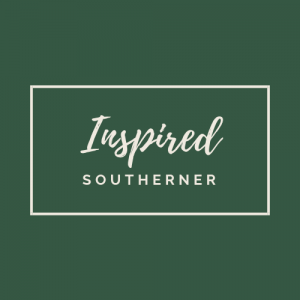 She is a true Southern Maker and an inspiring Southerner.